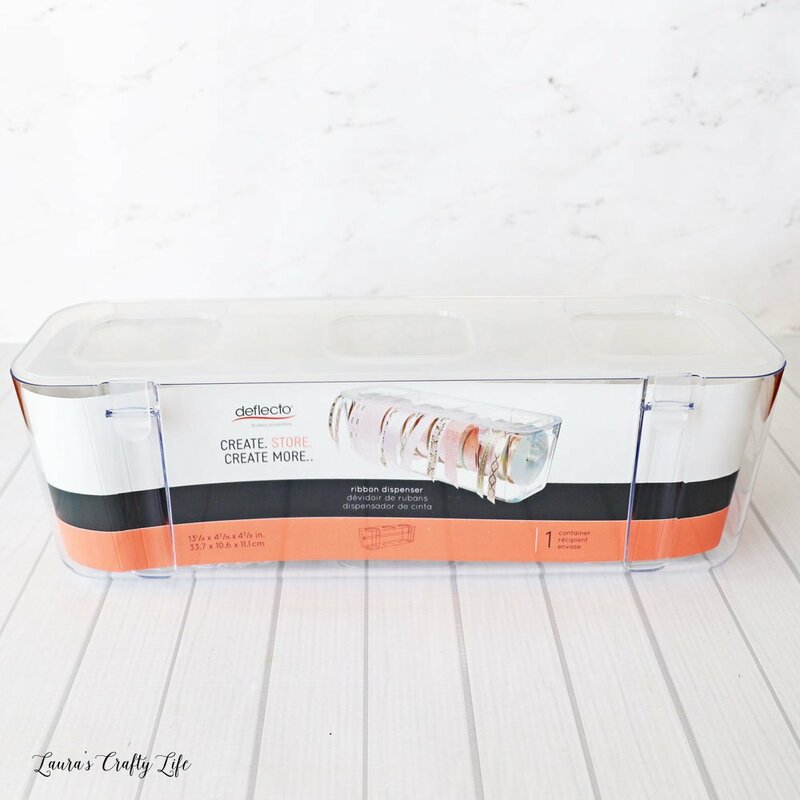 Deflecto Storage Containers. 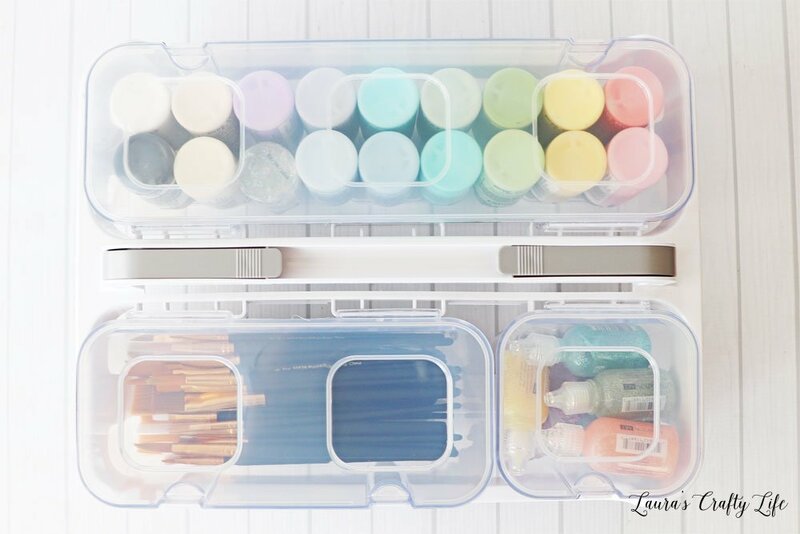 Use Deflecto storage organizers to organize and store your craft supplies. 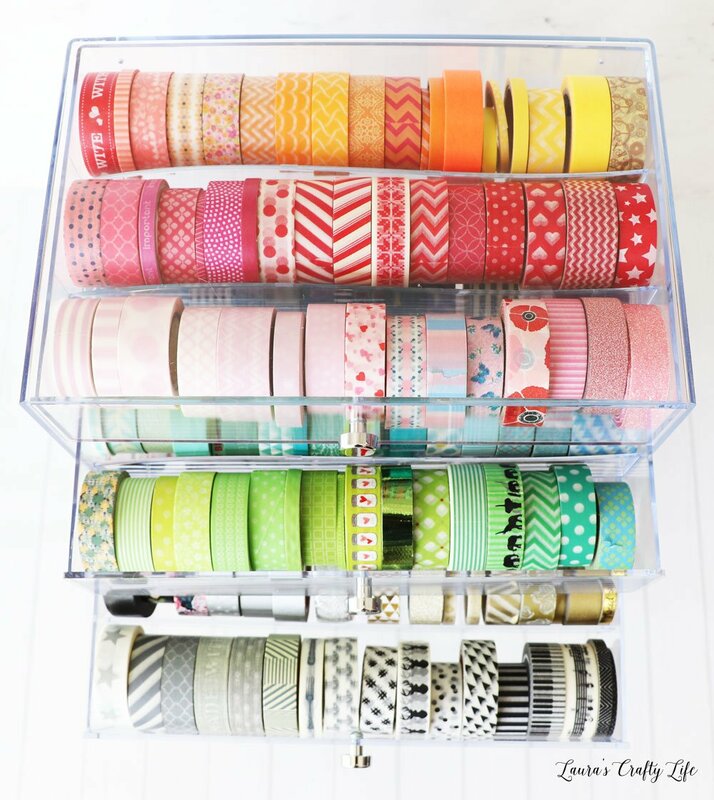 All about the caddy organizer, washi storage cube, and ribbon dispenser. 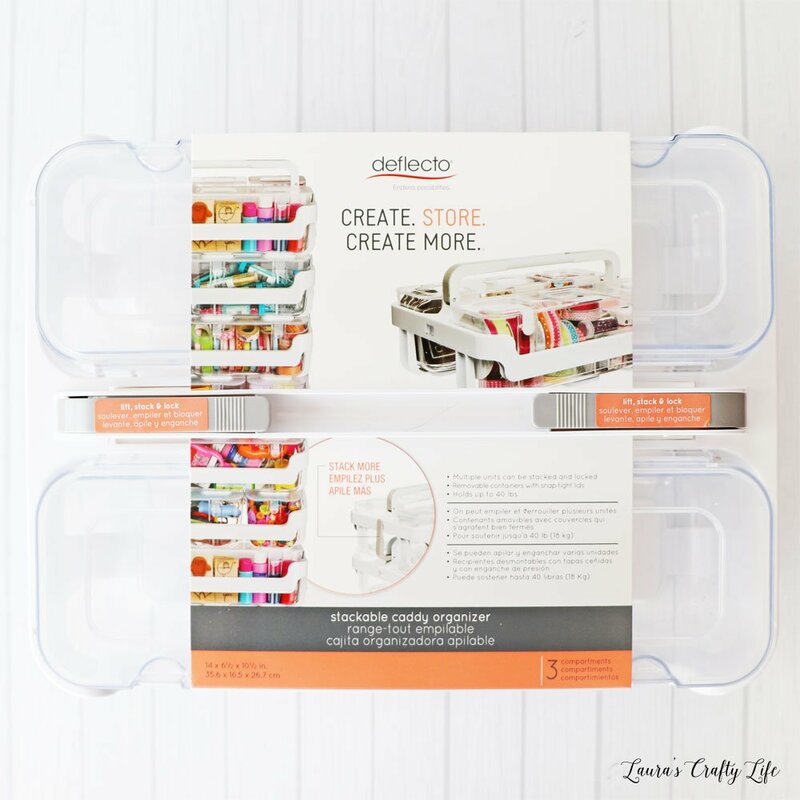 Today, I have partnered with Deflecto and Scrapbook.com to tell you all about a few of Deflecto’s organizing solutions. 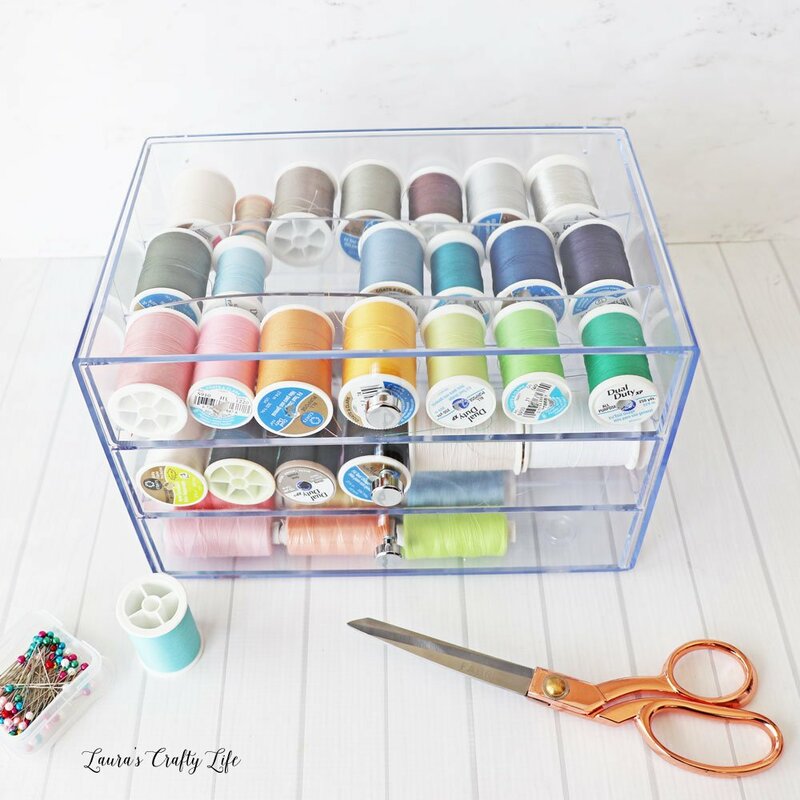 I will be showing you how I am using the caddy organizer, washi storage cube, and ribbon dispenser to store some of my craft supplies. This post contains affiliate links. If you purchase something through the link, I may receive a small commission at no extra charge to you. Please read my full disclosure policy here. Thank you to Scrapbook.com and Deflecto for providing me with some of the products for this post. I don’t know about you, but I find when my craft room is organized and cleaned up I am more inspired to create something new. Now, don’t get me wrong, I am a very messy crafter, but when I can’t find what I am looking for I lose motivation to craft quickly. Having storage solutions that work, are portable, and can change with you is so important for a functional space. 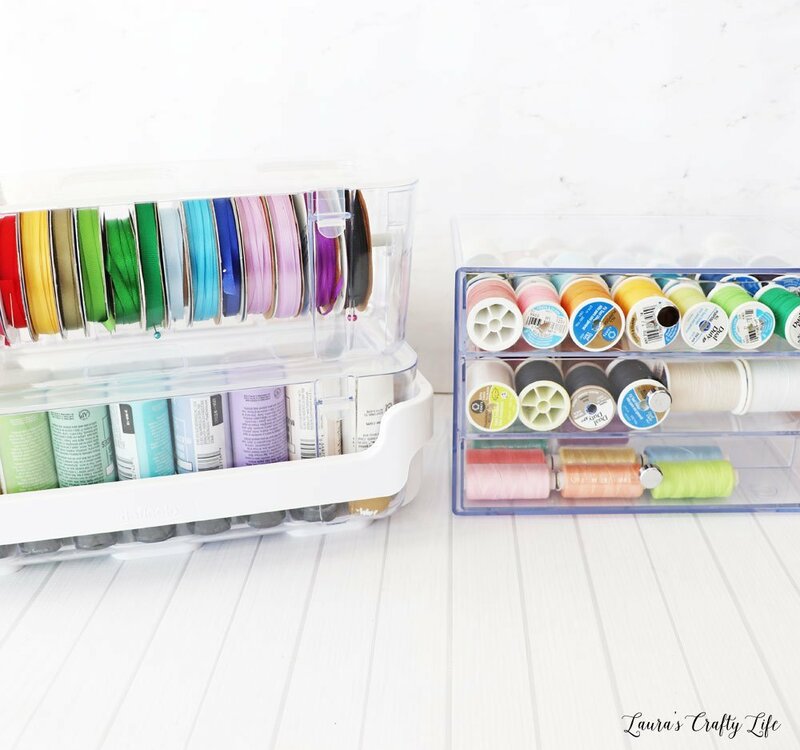 Having smaller storage options that you can take on the go is a great way to organize in a small space or to take your craft supplies with you wherever you go. First up, let’s talk about the Deflect Caddy Organizer. I received the organizer with small and large compartments. This caddy is perfect for filling up with all your favorite supplies so you can take it wherever you want to craft. This storage container comes with one large, one medium, and one small compartment. The size of the caddy is 6.5” x 14” x 10.5”. I often paint at my kitchen table, so having some of my favorite paints and brushes all together is very convenient. 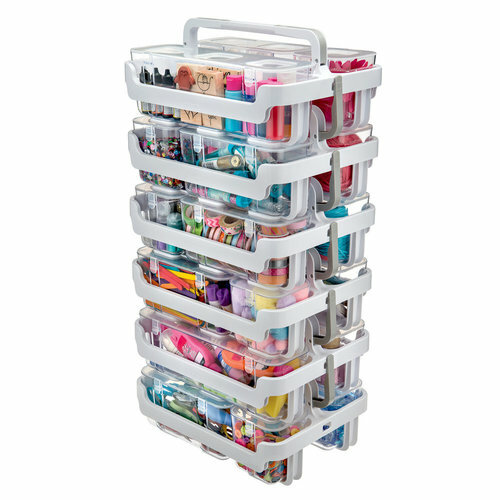 You could store so many different types of supplies in one or multiple caddies. I am thinking I can use another one for my daughter to put all of her nail polish in. 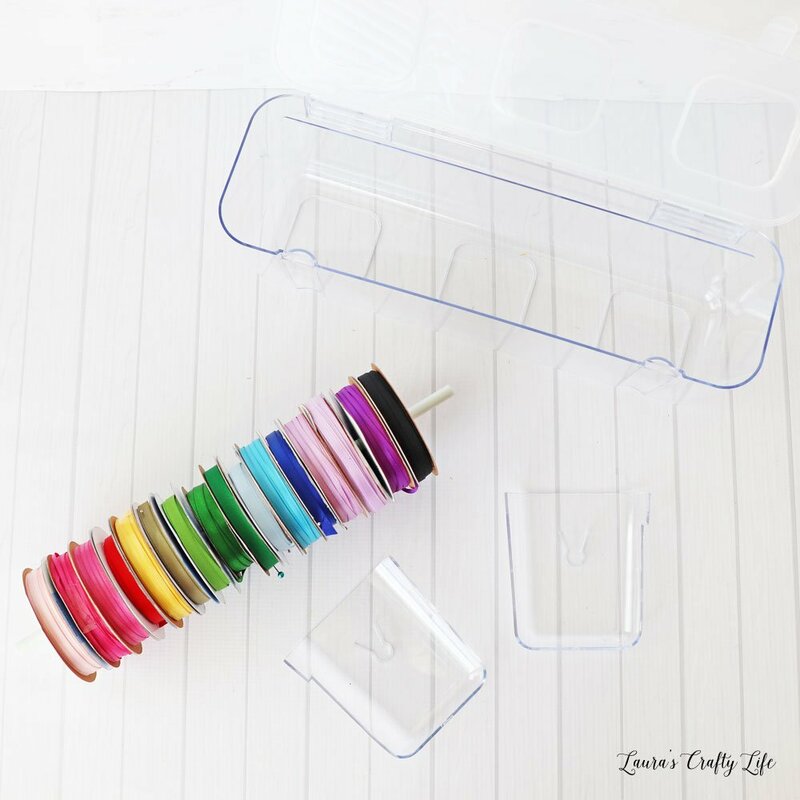 You could store scissors, adhesive, and small embellishments in it for scrapbooking. If you practice brush lettering, you could store your markers in another one. Or create a homework caddy to keep your child’s most used school supplies together to take wherever they do their homework. Another great feature of these caddy organizers is that they stack together. Vertical storage is a great way to make use of a small craft space! 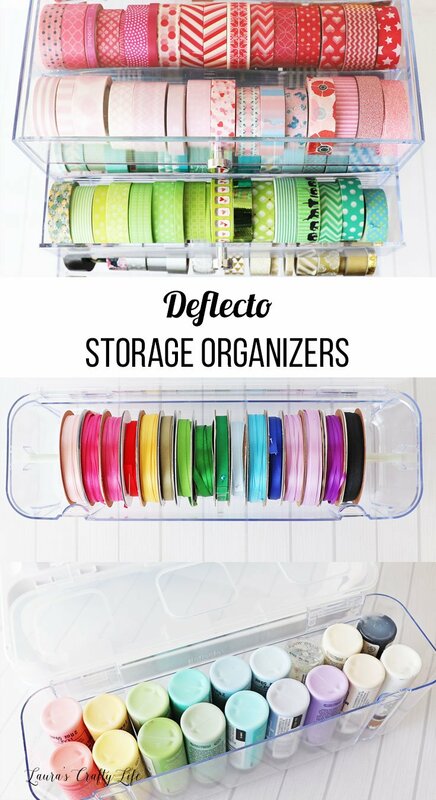 The Deflecto Ribbon Dispenser works with the caddy organizer or on its own. The dispenser measures 13.3″ x 4.4″ x 4.2″. I was so excited to receive this product! 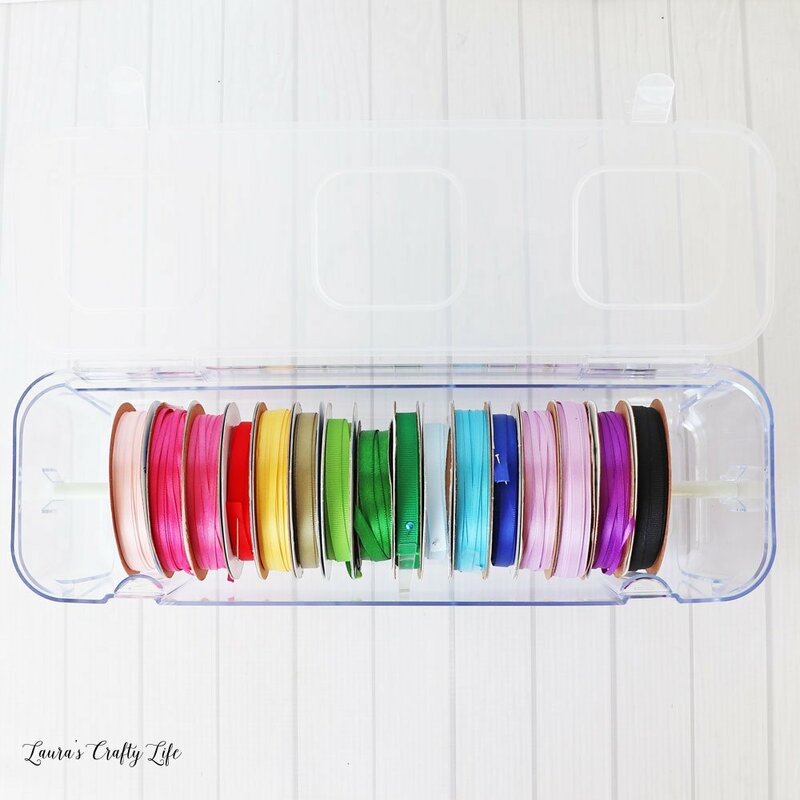 I have shown how I store my ribbon before here on the blog. However, I purchase the inexpensive thin ribbon from the craft store. Each spool usually has about 10 yards of ribbon, so wrapping that much ribbon around a small piece of cardboard just wouldn’t work. I have tried so many solutions for storing ribbon, and my main criteria are to have the ribbon easy to access and stay dust free. This ribbon dispenser solves both of these issues if you want to keep your ribbon on a spool. The dispenser comes with two end pieces and a small rod. You simply add your ribbon to the rod, place both end pieces inside the container and place the rod with your ribbon inside it. You can then thread the ends of your ribbon out and snap the lid shut! 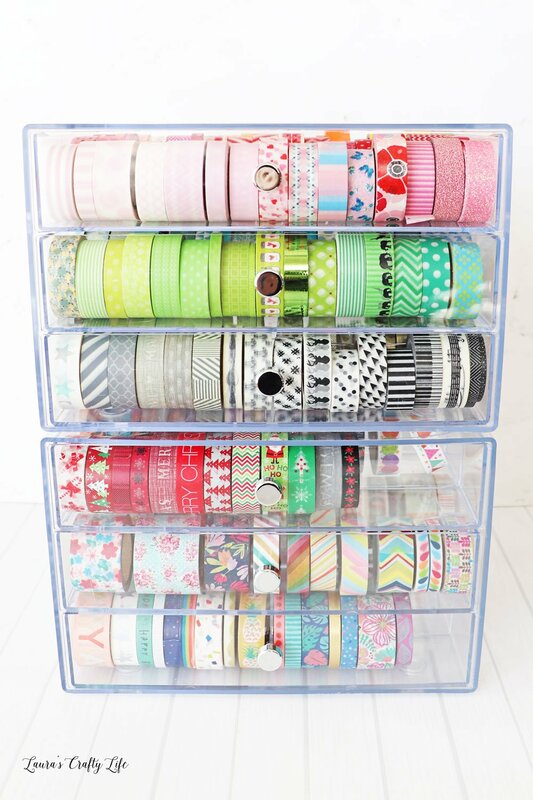 Your ribbon stays organized, clean, and easy to use. 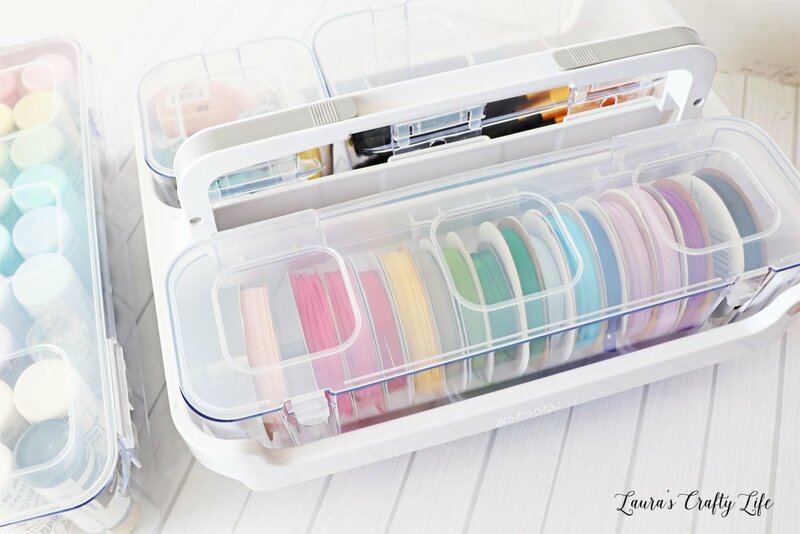 Plus, you can add the ribbon dispenser to any caddy organizer! The last storage solution I am going to share with you is probably my favorite! 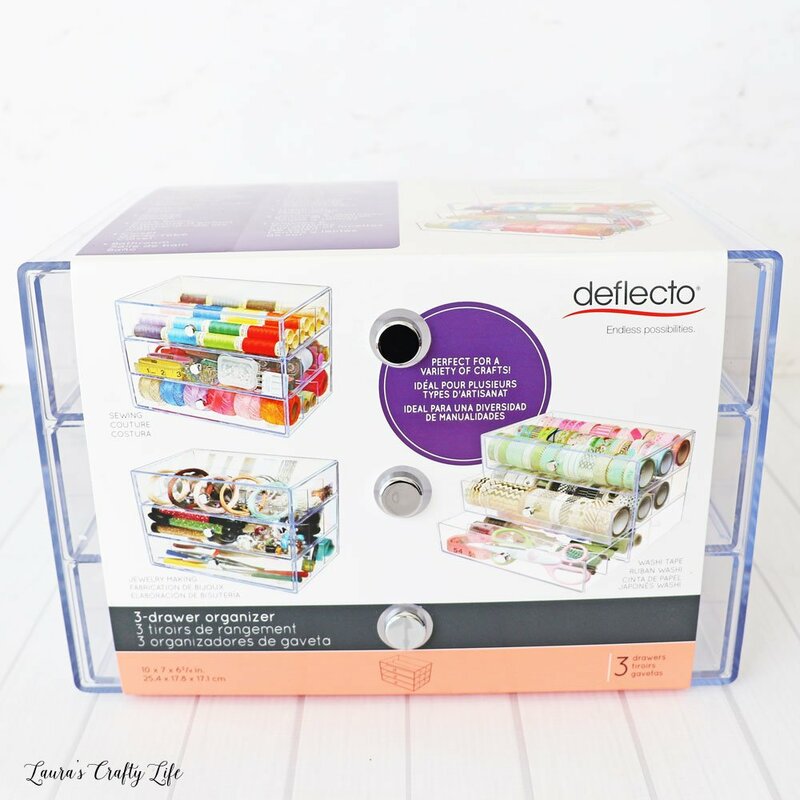 I am a huge washi tape addict, so I already had two of these Deflecto Washi Storage Cubes in my craft room all filled up with washi tape. 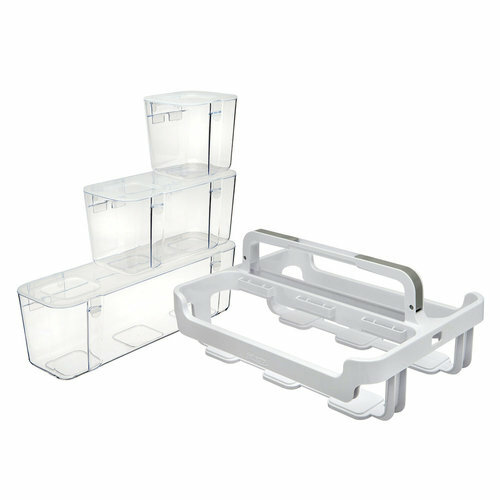 These acrylic containers are clear and contain three pull out drawers. The dimensions are 10” x 7” x 6.75”. I love that they are clear so you can see exactly what you have (or don’t have – I only have two or three rolls of purple washi tape compared to tons of every other color). The non-skid pad on the bottom of the cubes both protect your surface, and allow you to stack them without worrying about them falling over. Since I already had two filled with washi tape, I thought I would use my new cube to store thread. Standard size thread spools fit perfectly in the drawer. The thread I had that was a little bit longer I simply turned on the side. I have plenty of room to add the new thread I inherited from my husband’s grandma. 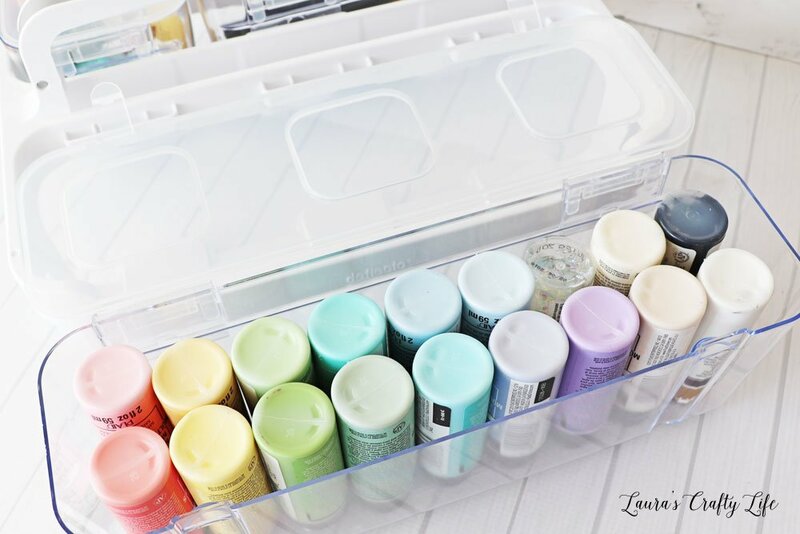 I hope sharing these storage containers with you and showing you how I used them in my own craft room inspires you to get your craft room organized. Any time I can organize my supplies in rainbow order makes my heart happy. Craft supplies can be decorations for your room as much as they are functional.